There is nothing like a nice quiet week of federal governance in the week before Christmas. There was, in fact, nothing like that. President Donald Trump’s decision to withdraw troops from Syria, the subsequent resignation of Secretary of Defense Jim Mattis and the looming, then eventual, partial shutdown of the federal government generated more than their share of pre-holiday angst. 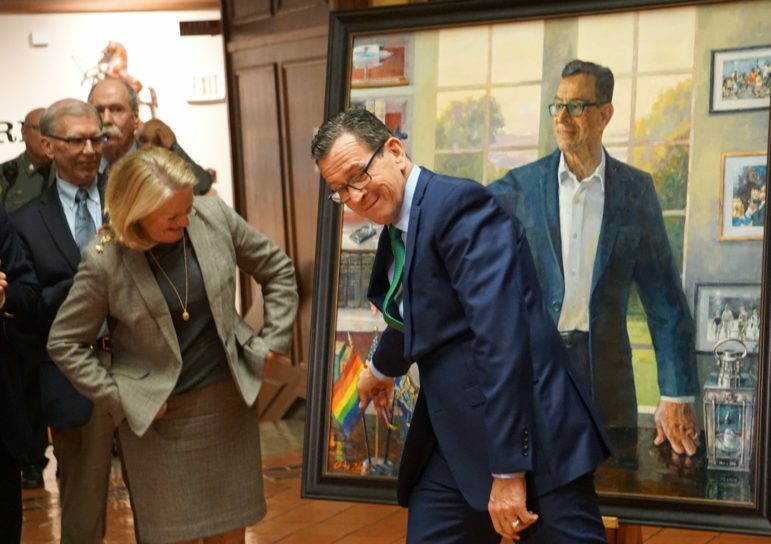 In Connecticut, the changing of the gubernatorial guard continued apace. Gov.-elect Ned Lamont named Rep. Chris Soto, D-New London, as his director of legislative affairs; chose Maribel La Luz as communications director; named his campaign manager Marc Bradley as his manager of external affairs and Joseph J. Giulietti, the former president of Metro-North, as his new commissioner of transportation. Transportation policy will be a crucial element in Lamont’s effort to improve the state’s economy, and a group of his advisors say it is time for him to push for highway tolls – not just for trucks as he has advocated, but for everyone. Lamont’s brain trust began making policy recommendations last Monday with a list of goals: the appointment of women to half the state’s open posts, raising the minimum wage, paid family and medical leave and an update of sexual assault laws. As is always the case, there are plenty of problems for state government to address – the disproportionately high rate of HIV infection among black women, for example. There is also debate over how much the state should rely on private nonprofit agencies to deliver social services. Underscoring Connecticut’s ability to cope with its issues, of course, is the deeply troubled budget. Budget restraints, officials fear, may have been responsible for an uptick in the number of children who died in day-care establishments over the past two years. The looming deficit is a bear that new budget director Melissa McCaw relishes wrestling, at least. She will probably want to help steer Connecticut away from the extremes of income and wealth inequality that currently undermine its economic progress. Another possible problem on her plate: finding money to address some of the staffing issues at the Department of Education. Members of the public will have a better chance to study the legislature’s work on various problems now that lawmakers have decided to resume making transcripts of their public hearings. The chaotic week in Washington, D.C., began with a little good news: A federal ban on “bump stocks,” the device used in the slaying of 58 in the nation’s deadliest mass shooting. Congress also approved a criminal justice reform bill that, like the bump-stock ban, resembled the measures already in effect in Connecticut. In a move set in motion by the Parkland, Fla., school mass shooting, a federal school safety panel recommended a range of changes, including undoing a number of Obama-era school discipline provisions aimed at reducing the disparity in punishment administered to minority and white students. Things went quickly sideways after that. Against the advice of most of his military advisors, but not necessarily Connecticut Sen. Chris Murphy, President Trump decided to pull American troops out of Syria, worrying critics that he would precipitate a resurgence of ISIS activity, a new exodus of refugees into Jordan and elsewhere, and a Turkish attack on America’s Kurdish allies. The Syria announcement followed a dramatic court appearance by former National Security Advisor-turned felon Michael Flynn who admitted to a federal judge that he knew lying to the FBI is a crime and who opted for delaying sentencing when the “disgusted” judge was clearly prepared to lock him up. Mattis announced his resignation on Thursday amid criticism from many of his Republican allies and the hours of Friday ticked away before members of the U.S. House, Senate and the president could negotiate an agreement to keep the government open. The shutdown, depending on how long it lasts, will have an effect on an estimated 1,500 federal employees in Connecticut and some of the services they render.